You can also organize your email using inbox rules. For example, you can create rules that will automatically move messages to other folders, or even delete them based on certain criteria. To learn more, see Use inbox rules in Outlook.com. 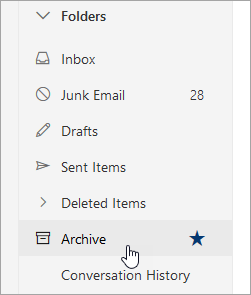 To learn more about folders, see Create a folder in Outlook.com or Move or rename a folder in Outlook.com.